What does a bold leader look like? Does a bold leader have to be a highly visible public figure like Elon Musk? Or can boldness in leadership be subtle in nature? For many, the name Tobias Lutke (Tobi Lutke for short) may not sound familiar. But in a little over a decade, Lutke, and his Canadian e-commerce company Shopify have achieved a level of success few ever realize. From Shopify’s inception in 2006 to now, Tobi Lutke has seen his company grow dramatically, go public, and replace Amazon as chief merchant service provider. This year, Shopify is expected to generate over $1 billion in revenue. Despite these accomplishments, Lutke’s low profile might make him seem less than bold. But then, you should never judge an ebook purchased via digital retail platform by its cover. For his results-driven nature, championing of change, and empowering of others, Lutke is every bit the Bold Leader. 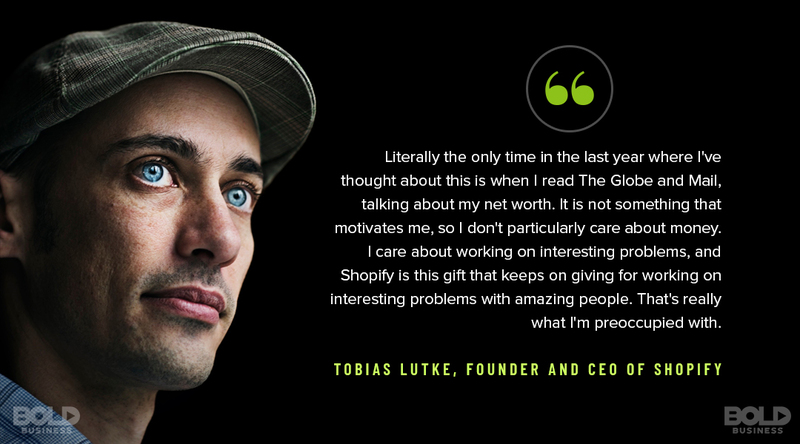 CEO and founder Tobias Lutke of Shopify may not dwell in the spotlight, but his bold leadership style has enabled Shopify to grow dramatically. Shopify, like many companies today, evolved out of the need for a solution. Tobi Lutke had recently become disenchanted with his lifelong passion for programming. After relocating from Germany to Ottawa, Lutke and a partner decided to sell snowboards. There was only one issue… the e-commerce platform they needed was lacking. Lutke’s vision required a platform that delivered results, so he set out to design one himself. And thus, Shopify was born. Today, the Shopify CEO continues to demand high quality in all aspects of the company. As a result, Shopify’s e-commerce suite is now utilized by about 600,000 businesses, with over $72 billion in total sales reported. His persistent focus on excellence is a major reason why Shopify has succeeded. If a problem appears, Lutke does not rest until it is resolved. His drive for exacting results is a major part of Lutke’s bold leadership. Lutke is all about challenging the status quo. The Shopify CEO did this when he developed his own e-commerce platform. And he continues to demand it of those around him today. 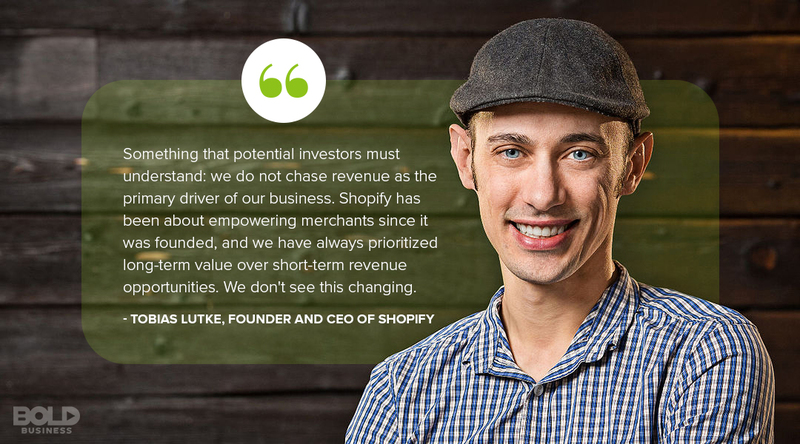 At Shopify, Lutke not only anticipates change but embraces it. He believes that creativity and solutions best arise from dynamic environments. Thus, by encouraging risk-taking and embracing failures as opportunities, the Shopify CEO creates a true culture of innovation. Thanks to the bold leadership of founder and CEO Tobias Lutke, Shopify is an e-commerce giant. But Lutke not only encourages change through new pursuits, he also does so through diversity. In fact, because Shopify was “young” in age, Lutke sought to specifically diversify the company. For example, when Ottawa’s IBM office was closing, the Shopify CEO placed a recruitment booth outside IBM for new hires. This commitment to diversity is another example of Lutke’s bold leadership style. Tobi Lutke might not be your stereotypical, flamboyant leader of a billion-dollar company. But he does know how to get the most out of others. The Shopify CEO has unique talents for empowering others to stretch themselves beyond their comfort level and achieve new heights. And he not only talks the talk but also walks the walk, serving as an ideal role model for others. Those who work at Shopify simply want to excel under Lutke’s leadership. In part, Lutke exudes authenticity and honesty in his feedback, which naturally creates strong team-building capacities. The Shopify CEO also believes that a happy work culture creates greater employee engagement and better company results. In fact, Lutke hired Daniel Weinand specifically to serve as Chief Culture and Design Officer. With proper guidance, feedback, and support, Lutke effectively aligns Shopify goals with personal goals of his employees. 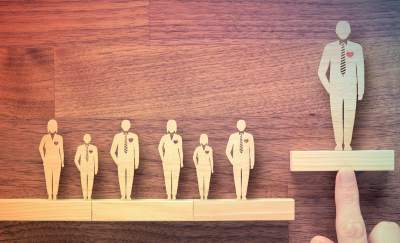 These bold leadership traits drive not only engagement and satisfaction, but efficiency and innovation as well. Though much less hungry for the spotlight than his contemporaries, Shopify CEO Tobias Lutke is every bit the bold leader. Tobi Lutke has always been a visionary. Certainly, the Shopify CEO had foreseen small businesses’ need to have e-commerce options. As a bold leader, he has also pursued visionary pursuits in employee engagement and performance results. And today, Lutke is applying the same visionary considerations in areas future developments in the e-commerce world. Robotics, 3-D printing and new mobile technologies are just a few of the areas where Shopify might advance next. Despite his inherent genius as a programmer and business leader, Lutke remains humble. Many have been amazed at the Shopify CEO’s ability to make them feel like an equal in the room. This leadership trait is another reason why Lutke effectively engages and empower others so well. And it is also this trait that causes some to underestimate his bold leadership capacity. But by close examination, it is perfectly clear that Lutke is among one of the boldest leaders around today. He is certainly one bold leader worth keeping your eye on.